Cermák J, Nadezhdina N, Trcala M, Simon J (2015). Open field-applicable instrumental methods for structural and functional assessment of whole trees and stands. iForest 8: 226-278. This illustrated review is aimed to provide succinct account of different methods applicable for obtaining objective information about the functional ecology of forest sites and stands (and also, e.g., orchards, watersheds, parks or alleys) for the purposes of phytotechnology or precise forestry. Management strategies must consider preservation of many important functions of forests in the landscape. Management methodologies include classical forestry approaches based on classification of the natural environment according to climatic zones, soil characteristics and composition of herbaceous as well as woody vegetation. One possibility for obtaining objective information came with the development of ecologically applicable instrumentation, allowing studies on the whole tree and stand levels to be undertaken anywhere in the field. Information may be derived at sites that are not permanently observed and are not equipped with additional constructions, such as towers, masts, or greenhouses. These field applicable methods are focused especially on tree and stand macrostructure, water relations and functional parameters of trees. In addition, problems associated with interactions between trees and different organisms are also discussed. A series of methods based on different principles is useful to measure mostly quantitative, operative or effective tree parameters as tree crowns and leaf distribution, stems (or large tree trunks) and root systems including skeleton and absorptive fine roots. This is sometimes possible to do with rather simple methods, but instrumental methods prevail especially for root studies. In addition to several classical measurement principles including anatomical or mechanical sensing, the methods work with sound speed (acoustic tomography) using electromagnetic rays of different wavelength (from radar to optical), electric conductivity or impedance, supersonic air stream and thermodynamics for example. Methods for data evaluation and examples of application are also included. The whole complex system approach should serve for different scientific fields (including hydrology, landscape care, horticulture, forensic engineering, etc.) and especially to support precise forestry. Spatial distribution of roots and water uptake by Maize (Zea mays L.). Crop Science 42 (3): 773-780. In situ detection of tree root distribution and biomass by multielectrode resistivity imaging. Tree Physiology 28: 1441-1448. Multi-electrode resistivity imaging. In: “Measuring roots, and updated approach” (Mancuso S ed). Springer-Verlag, Berlin, Heidelberg, Germany, pp. 189-212. Ground penetrating radar, principles, procedures and applications. Sensors and Software, Mississauga, Canada, pp. 203. Waldertragskunde [Forest yield science]. Bayerischer Landwirtschaftsverlag GmbH V Verlaggesellschaft, Munchen, Bonn, Wien, pp. 488. Electric measurement of the absorbing surfaces in whole tree roots by the earth impedance method - I. Theory. Tree Physiology 26: 1105-1112. Growing conditions comparison inside the 1st to 4th forest vegetation layer. Meteorologický časopis 12: 17-23. Detection of tree roots and determination of root diameters by ground penetrating radar under optimal conditions. Tree Physiology 24: 1323-1331. Forest management and the water cycle. Ecological studies, vol. 212, part 1, Springer, The Netherlands, pp. 532. Scenario of vegetation zone changes in the Czech Republic: ten years after. Ochrana prírody [Nature Protection] 64: 8-11. Collection of maps with prognosis of possible impacts of global climatic changes on the nature in the Czech Republic. Acta Pruhoniciana 98: 83-88. Geobiocenology and landscape ecology. Zivotné Prostredie 43 (2): 69-71. Biogeographic and geobiocenologic frames of management strategy. In: “Management strategy of forested areas with special levels of protection” (Simon J et al. eds). Lesnická práce, Kostelec n/čl, Czech Republic, pp. 92-106. Using branch and basal trunk sap flow measurements to estimate whole-plant water capacitance: a caution. Plant and Soil 305: 5-13. An improved heat pulse method to measure low and reverse rates of sap flow in woody plants. Tree Physiology 21: 589-598. Estimates and relations between aboveground and belowground resource exchange surface areas in a Sitka spruce managed forest. Tree Physiology 30: 705-714. Use of ground-penetrating radar to study tree roots in southeastern United States. Tree Physiology 21: 1269-1278. Using ground penetrating radar to detect tree roots and estimate biomass. 213-246pp. In: “Measuring roots, and updated approach” (Mancuso S ed). Springer-Verlag, Berlin, Heidelberg, Germany, pp. 382. The theory of forest types. Acta Forestalia Fennica, Helsingfors, Finland, vol. 29, pp. 108. An appraisal of the electrical resistance method for assessing root surface area. Journal of Experimental Botany 61: 2491-2497. Analysis of the willow root system by electrical impedance spectroscopy. Journal of Experimental Botany 62 (1): 351-358. Sapwood as the scaling parameter- defining according to xylem water content or radial pattern of sap flow? Annales des Sciences Forestières 55 (5): 509-521. Water uptake in healthy and ill trees under drought and hypoxia and non-invasive assessment of the effective size of root systems. In: Proceedings of the COST 612 Workshop “Above and belowground interactions in forest trees in acidified soils” (Persson H ed). Simlangsdalen (Sweden) 21-23 May 1990, pp. 185-195. Scaling up transpiration data between trees, stands and watersheds. Silva Carelica 15: 101-120. Extremely fast changes of xylem water flow rate in mature trees, caused by atmospheric, soil and mechanical factors. In: Proceedings of the CEC International Workshop “Methodologies to assess the impacts of climatic changes on vegetation: Analysis of water transport in plants and cavitation of xylem transport in plants and cavitation of xylem conduits” (Raschi A, Borghetti M eds). Firenze (Italy) 29-31 May 1991, pp. 181-190. Application of sap flow technique for characterizing the whole tree architecture, especially root distribution. In: Proceeedings of the “7th International Workshop on Sap Flow”. Seville (Spain) 21-24 October 2008. Acta Horticulturae (ISHS) 846: 219-228. Field studies of whole-tree leaf and roots distribution and water relations in several European forests. In: “Forest Management and the Water Cycle” (Bredemeier M, Cohen S, Godbold D, Lode E, Pichler V, Schleppi P eds). Ecological studies, vol. 212, Part 1, Springer, Berlin, Germany, pp. 380. Sap flow technology used in a non-traditional way including relations to tree structure. In: Proceedings of the “8th International Workshop on Sap Flow”. Volterra (Italy) 8-12 May 2011. Acta Horticulturae 951: 215-223. Instrumental approaches for studying tree water relations along gradients of tree size and forest age. In: “Size- and Age-Related Changes in Tree Structure and Function” (Meinzer FC, Dawson T, Lachenbruch B). Springer, Dordrecht, Heidelberg, London, New York, pp. 385-426. Composition of organic volatile compounds in the atmosphere of forest ecosystems as studied by gas-chromatography. Ekologia 6 (3): 251-264. Water balance of a Southern Moravian floodplain forest under natural and modified soil water regimes and its ecological consequences. Annals of Forest Science 58 (1): 15-29. Transpiration and soil water supply in floodplain forests. Ekologia 28 (3): 248-254. Short- and long-term response of transpiration flow rate in full-grown trees to water stress. In: Proceedings of the “18th IUFRO World Congress, Whole-Plant Physiology Working Party (S 2.01-15)”. Ljubljana (Yugoslavia) 7-21 Sep 1986. Yugoslav IUFRO World Congress Organizing Committee, Plesko, Ljubljana, Slovenia, pp. 187-193. Monoterpene hydrocarbon contents of the resin from seeds of silver fir (Abies alba Mill.). Trees 1: 94-101. Solar equivalent leaf area as the efficient biometric parameter of individual leaves, trees and stands. Tree Physiology 5: 269-289. Tree transpiration and its importance in forest ecology. PhD Thesis, Faculty of Forestry, Mendel University in Brno, Czech Republic, pp. 97+317. Leaf distribution in large trees and stands of the floodplain forests in southern Moravia. Tree Physiology 18: 727-737. Vertical distribution of foliage in Moravian floodplain forests. Ekologia 18: 15-24. A new method of sap flow rate determination in trees. Biologia Plantarum 15 (3): 171-178. Sap flow rate and transpiration dynamics in the full-grown oak (Quercus robus L.) in floodplain forest exposed to seasonal floods as related to potential evapotranspiration and tree dimensions. Biologia Plantarum 24 (6): 446-460. Xylem water flow in a crack willow tree (Salix fragilis L.) in relation to diurnal changes of environment. Oecologia 64: 145-151. The “Roof” project in Rajec. In: Proceedings of the Symposium “Experimental Manipulations of Ecosystems”. Copenhagen (Denmark) 18-20 May 1992, pp. 1-7. Radial velocity profiles of water flow in stems of spruce and oak and response of spruce tree to severing. Tree Physiology 10: 367-380. Rapid response of large, drought stressed beech trees to irrigation. Tree Physiology 12: 281-290. Scaling up from the individual tree to the stand level in Scots pine. I. Needle distribution, overall crown and root geometry. Annales des Sciences Forestières 55 (1-2): 63-88. Urban tree root systems and their survival near houses analyzed using ground penetrating radar and sap flow techniques. Plant and Soil 219 (1-2): 103-115. Laurel forests in Tenerife, Canary Islands: efficiency of water conducting systems in Laurus azorica trees. Trees 16: 538-546. Long-term course of transpiration in a floodplain forest in southern Moravia associated with changes of underground water table. Ekologia 20 (1): 92-115. Sap flow measurements with two thermodynamic methods, flow integration within trees and scaling up from sample trees to entire forest stands. Trees - Structure and Function 18: 529-546. Electric measurement of the absorbing surfaces in whole tree roots by the earth impedance method - II. Verification based on allometric relationships and root severing experiments. Tree Physiology 26: 1113-1121. Stand biometry and leaf area distribution in an old olive grove at Andria, southern Italy. Annals of Forest Science 64 (5): 491-501. Tree water storage and its diurnal dynamics related to sap flow and changes of trunk volume in old-growth Douglas-fir trees. Tree Physiology 27: 181-198. Stand structure and foliage distribution in Quercus pubescens and Quercus cerris forests in Tuscany (central Italy). Forest Ecology and Management 255: 1810-1819. Visualization of root systems by the supersonic air stream. In: “Determination of damage to soil and root system of forest trees by the operation of logging machines” (Neruda J ed). Mendel University of Agriculture and Forestry Publishing House, Brno, Czech Republic, pp. 89-95. Scots pine root distribution derived from radial sap flow patterns in stems of large leaning trees. Plant and Soil 305 (1-2): 61-75. Absorptive root areas of large pedunculate oak trees differing in health status along a road in South Bohemia, Czech Republic. Urban Forestry and Urban Greening 12: 238-245. A revised surway of the forest types in India. Government of India, Delhi, India, pp. 404. Calibration and application of forest-BCG in a Mediterranean area by the use of conventional and remote sensing data. Ecological Modeling 154: 251-262. Catalogue of biotopes of the Czech Republic. Agentura ochrany prírody a krajiny Ceské republiky, Prague, Czech Republic, pp. 446. The development and structure of vegetation. Studies in the vegetation of the state, III. Botanical Surway, Lincoln, Nebraska, USA, pp. 176. Assessing and analyzing 3D architecture of woody root systems, a review of methods and applications in tree and soil stability, resource acquisition and allocation. Plant and Soil 303: 1-34. A method for determining water transport in trees. Ecology 48 (3): 425-431. Hydraulic connectivity from roots to branches depicted through sap flow: analysis on a Quercus suber tree. Functional Plant Biology 39: 103-115. Root functioning, tree water use and hydraulic redistribution in Quercus suber trees: a modeling approach based on root sap flow. Forest Ecology and Measurement 307: 136-146. Measurement of the xylem water flow in trees with the method of trunk heat balance. In: Proceedings of the Symposium of the National Committee IMECO “Flow’93”. Prague (Czech Republic) May 1993, Tech-Market, Prague, Czech Republic, pp. 31-40. Vegetation Mittleuropas mit den Alpen in okologischer, dynamischer and historical Sicht [Vegetation of Central Europe and the Alps in ecological, dynamic and historical perspective]. Eugen Ulmer GmbH and Co, Stuttgart-Hohenheim, Germany, pp. 1095. Intercomparison of methods for calculating potential evaporation in regional and global water balance models. Water Resources research, 32 (7): 2315-2321. Crown and canopy structure in relation to productivity. In: Proceedings of the International workshop “Forest Crown and Productivity”. Tokio (Japan) 14-20 Oct 1985. Tokyo University, Japan, pp. 1-6. Determining the impact of heavy machines on the Norway spruce - Histology and morphology of roots. In: “Determination of damage to soil and root system of forest trees by the operation of logging machines” (Neruda J ed). Mendel University of Agriculture and Forestry Publishing House, Brno, Czech Republic, pp. 82-84. Geobiocoenological differentiation as a tool for sustainable land-use of Socotra Island (Republic of Yemen). Ekológia 23 (Suppl. 1): 47-57. Geophysical imaging of root-zone, trunk and moisture heterogeneity. Journal of Experimental Botany 58: 839-854. Geophysical imaging techniques. In: “Measuring Roots: an Updated Approach” (Mancuso S ed). Springer-Verlag, Berlin, Heidelberg, Germany, pp. 151-188. Hydro-bio-geophysics. The Leading Edge 23: 670-674. Hydro geophysical study at an olive farm, S. Italy. In: Proceedings of the Meeting “Near Surface 2004 - 10th European Meeting of Environmental and Engineering Geophysics”. EarthDoc, EAGE, Utrecht, The Netherlands, pp. 1-4. Vegetable statics, or, an account of some statical experiments on the sap in vegetables. W and J Innys, and T Woodward, London, UK. Radar tomography for soil moisture heterogeneity. Geophysics 71: k9-k18. Publ. House of Technical Univ, Zvolen, Slovakia, pp. 600. Calculation of the size of the surface area of deciduous trees and their potential for eventual use in a forensic-expert practice. In: Proceedings of the XXI International Scientific Conference on Forensic Engineering “ExFoS - Expert Forensic Science”. Brno (Czech Republic) 20-21 Jan 2012, pp. 1-11. Estimates of the health state of tree stems in the park of the castle Sychrov. Research report for municipial authorities by Kolejservis s.r.o., Brno, Czech Republic, pp. 12. Mapping of tree root systems by means of the ground penetrating radar. Tree Physiology 19: 125-130. Visualization of root systems by georadar. In: “Determination of damage to soil and root system of forest trees by the operation of logging machines” (Neruda J ed). Mendel University of Agriculture and Forestry, Brno, Czech Republic, pp. 85-88. Trends in European forest tree physiology research. Eurosilva, Kluwer Academic Publishing, Dordrecht, Boston, London, pp. 264. Modeling leaf area index from litter collection and tree data in a deciduous broadleaf forest. Agricultural and Forest Meteorology 151: 1016-1022. Roots and root system of trees. Opera rhizologica, Botanical Garden, Liberec, Czech Republic, pp. 326. Laurel forests in Tenerife, Canary Islands: the annual course of sap flow in Laurus trees and stand. Journal of Hydrology 183 (3-4): 305-319.
Review of methods for in situ leaf area index determination: part I. Theories, sensors and hemispherical photography. Agricultural and Forest Meteorology 121: 19-35. Forest ecology. A foundation for sustainable forest management and environmental ethics in forestry. Prentice Hall, Upper Saddle River, New Jersey, USA, pp. 712. Biomass of fine and small roots in two Japanese black pine stands of different ages. Journal of Forest Research 5: 71-76. Production and vertical distribution of fine and small roots in Japanese black pine on sandy soil. Journal of Forest Science 6: 277-284. Relationship between parameters of the aboveground parts and root system in Norway spruce with respect to soil drainage. Ekológia 21: 155-165. Modeling the possible global climate change impacts in the Czech Republic. Agency for Natural Conservation and Landscape Protection of the Czech Republic, Prague - Mendel University of Agriculture and Forestry, Brno, Czech Republic, pp. 27. Root buds and the development of root suckers in sweetgum. Forest Sciences 13: 338-345. Transpiration and canopy conductance in a pristine broad-leaved forest of Nothofagus: an analysis of xylem sap flow and eddy correlation measurements. Oecologia 91: 350-359. Patterns of water movement in forest trees. Botanical Gazette 124: 301-311. Bioclimatic zones in British Columbia. Vancouver, Dept. of Botany, Botany series 1: 1-47. Ecology of western north of America (voll. 1 and 2). Vancouver, BC, Canada, pp. 218. Water content in stem wood of large pine and spruce trees in natural forests in central Sweden. Agricultural and Forest Meteorology 98-99: 555-562. Sap flow and vessel distribution in annual rings and petioles of large oaks. Lesnictvi-Forestry 44 (5): 193-201. Improved thermal method of continual recording the transpiration flow rate dynamics. Biologia Plantarum 19 (6): 413-420..
Physiological plant ecology. Ecophysiology and stress physiology of functional groups. Springer Verlag, Berlin, Heidelberg, New York, pp. 506. Semi automated georadar data acquisition in three dimensions. Geophysics 64: 719-731. Sap flow by heat balance method applied to small size Salix-trees in a short-rotation forest. Biomass and Bioenergy 8 (1): 7-15. Physiology of woody species. VEB Gustav Fischer Verlag, Jena, Germany, pp. 420. Biotic pump of atmospheric moisture as driver of the hydrological cycle on land. Hydrology and Earth System Sciences 11: 1013-1033. The forest biotic pump of river basins. Russian Journal of Ecology 39 (7): 537-540. Condensation induced kinematics and dynamics of cyclones, hurricanes and tornadoes. Physical letters A 343 (46): 4201-4205. Measuring roots, an updated approach. Springer, Heidelberg, Dordrecht, London, New York, pp. 382. Physiological predisposition of forest woody species to an attack by phytophages and possibility of defense reactions. In: Proceedings of the National Conference “Bark-beetle calamity: causes, extent, defense”. Brno (Czech Rep), 17 Feb 1994. Publications of the Mendel Agricultural and Forestry University , Brno, Czeck Republic, pp. 25-37. An investigation of hydraulic limitation and compensation in large, old Douglas-fir trees. Tree Physiology 22: 763-774. Whole-tree water transport scales with sapwood capacitance in tropical forest canopy trees. Plant Cell and Environment 26: 1147-1155. Size- and Age-Related Changes in Tree Structure and Function. Springer, Dordrecht, Heidelberg, London, New York, pp. 510. Forest mensuration. Pennsylvania Valley Publ. Inc., State College, PA, USA, pp. 250. Laurel forests in Tenerife, Canary Islands: I. The site stand structure and leaf distribution. Trees 11: 34-40. Laurel forests in Tenerife, Canary Islands: II. Leaf distribution patterns in individual trees. Trees 11: 41-46. Laurel forests in Tenerife, Canary Islands: the vertical profiles of leaf characteristics. Phyton 36 (2): 1-13. Laurel forests in Tenerife, Canary Islands: vessel distribution in stems and petioles of Laurus azorica trees. Trees 16: 529-537. Changes in sap flow rate in tree trunks and roots after mechanical damage. In: Proceedings of the International Conference “Spruce Monocultures in Central Europe - Problems and Prospects” (Klimo E, Hager H, Kulhavý J eds). Brno (Czech Republic) 22-25 June 1998. EFI Proceedings 33: 167-175. Sap flow index as an indicator of plant water status. Tree Physiology 19: 885-891. Specificity of sap flow index for mist irrigation control. In: Proceedings of the “3rd Internatationl Symposium on Irrigation of Horticultural Crops” (Ferreira MI ed). Estoril (Portugal) 28 Jun - 2 July 1999, pp. 479-486. Additional information derived from detail analysis of raw temperature data measured with the HFD-method. Acta horticulturae 846 (1): 77-84. Integration of water transport pathways in a maple tree: responses of sap flow to branch severing. Annals of Forest Science 67: 107. Heat field deformation method for sap flow measurements. In: Proceedings of the “4th International Workshop on Measuring Sap Flow in Intact Plants”. Zidlochovice (Czech Republic) 3-5 Oct 1998. IUFRO Publications, Publishing house of Mendel University, Brno, Czech Republic, pp. 72-92. Radial pattern of sap flow in woody stems of dominant and understory species: scaling errors associated with positioning of sensors. Tree Physiology 22: 907-918. Vertical and horizontal water redistribution within Norway spruce (Picea abies) roots in the Moravian Upland. Tree Physiology 26: 1277-1288. Roots under the load of heavy machinery in spruce trees. European Journal of Forest Research 125: 111-128. Transpiration of Scots pine in Flanders growing on soil with irregular substratum. Forest Ecology and Management 243: 1-9. Stem-mediated hydraulic redistribution in large roots on opposing sides of a Douglas-fir tree following localized irrigation. New Phytologist 184 (4): 932-943. Trees never rest: the multiple faces of hydraulic redistribution. Ecohydrology 3: 431-444. Sap flow measurements based on Heat Field Deformation method. Trees 26: 1439-1448. Root function: in situ studies through sap flow research. In: “Measuring Roots: an Updated Approach” (Mancuso S ed). Springer-Verlag, Berlin, Heidelberg, Germany, pp. 267-290. Root structure: in situ studies through sap low research In: “Measuring Roots: An Updated Approach” (Mancuso S ed). Springer-Verlag, Berlin, Heidelberg, Germany, pp. 247-266. The evolution of air tools for use in arboriculture. Tree Care Industry 2001: 47-48. Leaf area measurements based on hemispheric photographs and leaf-litter collection in a deciduous forest during autumn leaf-fall. Agricutural and Forest Meteorology 45: 325-345. Detailed instructions for root architecture assessment with the root arch-method. Internal report No. 7, Project TREEARCH, Arboretum Royal Vet and Agricultural University, Hoersholm, Denmark, pp. 12. Quantitative analysis by gas-chromatography. Marcel Dekker Inc., New York, USA, pp. 176. Transpiration of a mixed forest stand: field measurements and simulation using SVAT models. Boreal Environental Research 7 (4): 389-397. The response of the water fluxes of the boreal forest region at the Volga’s source area to climatic and land-use changes. Physics and Chemistry of the Earth 27: 675-690. Natural evaporation from open water, bare soil and grass. Proceedings of the Royal Society A 193 (1032): 120-145. Mapping root zones of small plants using surface and boreholes resistivity tomography. The Leading Edge 28 (10): 1220-1224. Measuring of trees and forests. CAB International, Wallingford, UK, pp. 310. 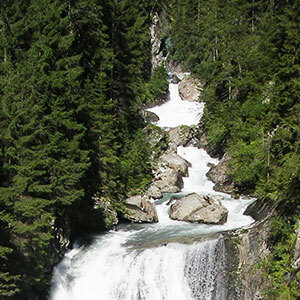 Reliance on stored water increases with tree size in three species in the Pacific Northwest. Tree Physiology 23: 237-245. Modelling the effects of hydrological changes on the carbon and nitrogen balance of oak in floodplains. Tree Physiology 23: 735-746. Forest dynamics, growth and yield. From measurements to model. Springer Verlag, Berlin, Heidelberg, Germany, pp. 664. Optical and litter collection methods for measuring leaf area index in an old-growth temperate forest in northeastern China. Journal of Forest Research 18: 430-439. Phytocenology and forest typology. SZN, Prague, Czech Republic, pp. 340. Measuring tree root growth using electrical impedance spectroscopy. Silva Fennica 39: 159-166. Electrical impedance spectroscopy and roots. In: “Measuring Roots an Updated Approach” (Mancuso S ed). Springer Heidelberg, Dordrecht, London, New York, pp. 25-49. Rizzo DM, Gross R (2000): Distribution of Armillaria mellea on pear root systems and comparison of excavation techniques. In: “The Supporting Roots of Trees and Woody Plants: Form, Function and Physiology” (Stokes A ed). Developments in Plant and Soil Sciences, vol. 87, Kluwer Academic Publishers, Dordrecht, The Neteherlands, pp. 305-311. Stomatal and boundary layer conductances in Amazonian terra firme forest. Journal of Applied Ecology 27: 336-353. Systematics in the control of forest insects. Journal of Forestry 57 (4): 284-286. The hydraulic limitation hypothesis revisited. Plant, Cell and Environment 29: 367-381. Canopy transpiration and flow rate fluxes in the xylem of the trunk of Larix and Picea trees - a comparison of xylem flow, porometer and cuvette measurements. Oecologia 66: 475-483. Linking xylem diameter variations with sap low measurements. Plant Soil 305: 77-90. Effect of light on shoot geometry and needle morphology in Abies amabilis. Tree physiology 16: 91-98. The vertical leaf distribution of Ulmus laevis Pall. Trees 26: 1781-1792. An evaluation of different methods to investigate root system architecture of urban trees in situ. I. Ground penetrating radar. Journal of Arboriculture 28-1: 1-9. Daily and seasonal variation of stem radius in oak. Annales des Sciences Forestiere 56: 579-590. Transpiration of spruce in a mature plantation in Drahanska Vrchovina uplands, Moravia. I. Variation between individual trees. Ekologia 19 (Suppl 1): 48-62. Effect of contrasting water supply on the diameter growth of Norway spruce and aspen in mixed stands: a case study from the southern Russian taiga. Annals of Forest Sciences 62: 1-10. The application of “clump technique” for root system studies of Quercus robur and Fraxinus excelsior. Forest Ecology and Management 255: 495-505. Estimating leaf area index in different types of mature forest stands in Switzerland: a comparison of methods. European Journal of Forest Research 129 (4): 543-562. Forest inventory. Publ. AN USSR Nauka, Moscow, Russia, pp. 360. Stand structure and foliage distribution patterns in individual trees of Quercus pubescens and Quercus cerris forests in Tuscany (central Italy). In: Proceedings of the “5th International Workshop on Measuring Sap Flow in Intact Plants” (Tognetti R, Raschi A eds). Florence (Italy), 09-10 Nov 2000. Fondazione per la Meteorologia Applicata, Campi Bisenzio, Firenze, Italy, pp. 1-27. Improvement of the trunk heat balance method including measurements of zero and reverse sap flows. Agricultural and Forest Meteorology 166-167: 120-126. Crown structure and leaf area of the understorey species Prunus serotina. Trees - Structure and Function 23: 391-399. Spatial distribution of above- and below-ground biomass, surface area, volume and water in a mature Scots pine stand. Trees [in press]. 3D upscaling of transpiration from leaf to tree using ground-based LiDAR: application on a Mediterranean Holm oak (Quercus ilex L.) tree. Agricultural and Forest Meteorology 149 (10): 1573-1583. Czech forest ecosytem classification. Journal of Forest Science 49 (2): 74-82. Tree story biomass in lowland forests in South Moravia. Proceedings of the Czechoslovak Academy of Sciences, Academia, Prague, Czech Republic, vol. 86, pp. 170. Biomass of the tree layer of a spruce forest in the Bohemian Upland. Academia, Prague, Czech Republic, pp. 400. Larix decidua in biomass. Proceedings of the Czechoslovak Academy of Sciences, Academia, Prague, Czech Republic, vol. 92, pp. 400. Landscape to regional scale responses of terrestrial ecosystems to global change. Ambio 23: 67-73. Forest ecosystems, analysis at multiple scales. Academic Press, San Diego, CA, USA, pp. 370. A general model for the structure and allometry of plant vascular systems. Nature 189: 664-667. Imaging tree root systems in situ. In: Proceedings of the “8th International Conference on Ground Penetrating Radar” (Noon DA, Stickley GF, Longstaff D eds). SPIE, Washington, DC, USA, vol. 4084, pp. 642-646. Modeling the soil-plant-atmosphere continuum in a Quercus-Acer stand at Harvard Forest: the regulation of stomatal conductance by light, nitrogen and soil/plant hydraulic properties. Plant, Cell and Environment 19: 911-927. Evaluation different soil and plant hydraulic constrains on tree function using a model and sap flow data from ponderosa pine. Plant, Cell and Environment 24: 679-690. Monoterpenoids in coniferales. Bull Int Assoc Wood Anat 1, ETH, Zurich, Switzerland, vol. 1, pp. 3-12. Chemotaxonomy of the genus Abies - II. Within tree variation of the terpenes in cortical oleoresin. Phytochemistry 10: 3229-3237. Forest phytocenology. SZN, Prague, Czech Republic, pp. 500. Fundamentals of ecology. SZN, Prague, Czech Republic, pp. 270.